MJH Multi is closely aligned with a number of leading Universities in NSW, providing opportunities through their Cadet Program to the University’s most promising students. Established in 2016, MJH Multi’s Cadet Program provides industry experience to students completing their studies and gaining their formal qualifications. The Cadet Program provides students with the practical skills and understanding required to enhance their studies and career in the construction industry. Through the Cadet Program, MJH Multi are invested in producing the next generation of leaders within Australia’s multi residential construction industry. MJH Multi advertise upcoming positions at the Universities closest to where the positions are available. Any student can apply for the advertised positions and upon successful application, a group interview is held at one of the corporate offices, this is followed by individual Interviews managed by MJH Multi’s HR Department. Second-round interviews are offered to students suited to the role and industry, and those who have been identified as having a strong drive to learn. There are currently four Cadets working part time within the Program, ranging from Junior Site Managers to Contract’s Administration Cadet and Estimating Cadet. The students are from both the University of New South Wales (Sydney) and the University of Newcastle. MJH Multi have recently partnered with Stockland to deliver the $63 million Azure townhome project which comprises 176 homes in the sought after community of Elara in Sydney’s North West growth corridor. Due to the size of the project, this has enabled the opportunity for the cadets to become heavily involved and to familiarise themselves with large scale residential developments. 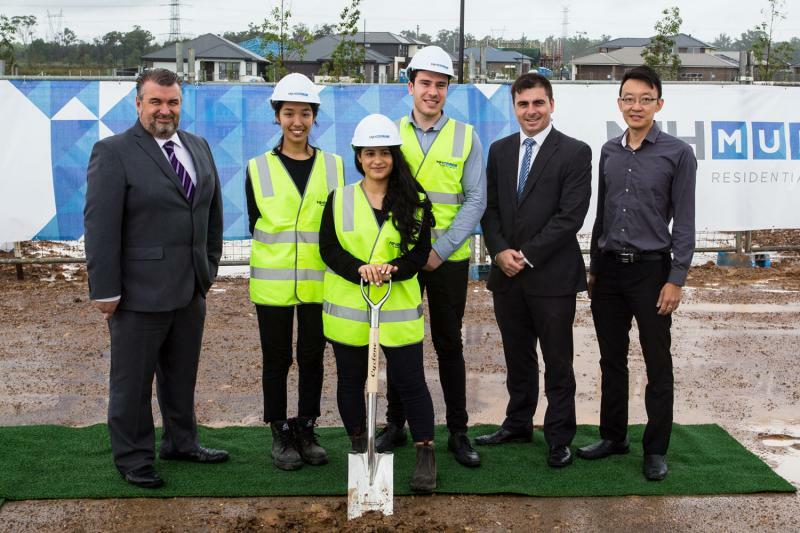 Monica Badr, Tracy Chau and Matthew Trevisan are all second year students at the University of New South Wales who are currently studying Construction Management and Property Development. “Every day working here I am learning new skills, how to multi task and carry out the work load. With everyone being so friendly, it’s a great working and learning environment and that helps towards good productivity,” said Monica Badr. Upon successful completion of their University studies, should the student meet the targets set by MJH Multi during their time within the Cadet Program, they are offered full time employment and a promotion to an assistant level within the sector they are working. “We are a diverse business driven by quality, professionalism and people. This cadet program ensures that we will have the very best people to assist in the growth of our business and to provide ongoing successful outcomes,” said Ben Mathers, GM New South Wales.